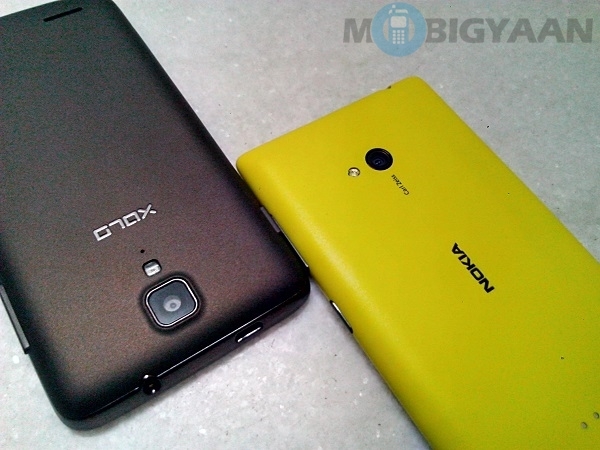 Two mobile mnaufacturers which are trying its best to garner as many buyers as possible by making a smartphone available in each available segment are Nokia and XOLO. 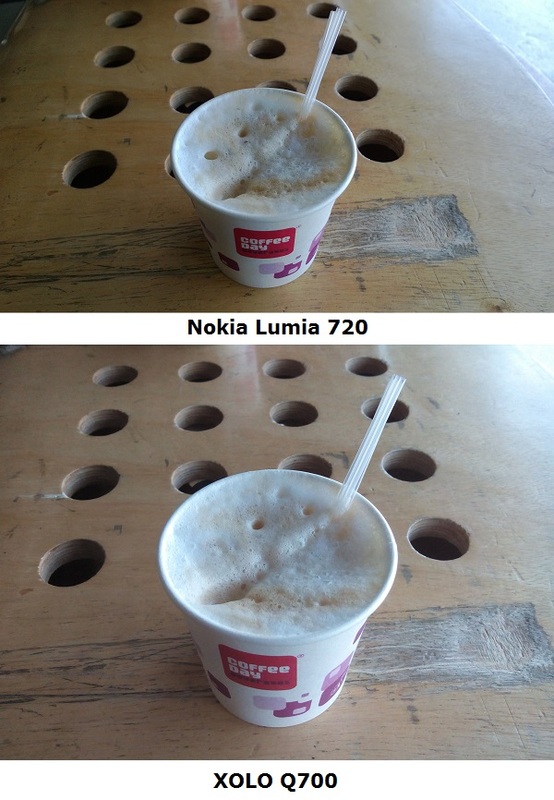 We have seen Nokia offer its Lumia smartphone in every price range possible and so has XOLO and we recently happened to have the Nokia Lumia 720 and the XOLO Q700 smartphones with us and thought of having a small Camera-shootout and see which fares better. To recollect, the Nokia Lumia 720 obviously happens to pack a better camera which is of 6.7 megapixel resolution with LED FLash and arrives with a 1/3.6″ sensor and a Carl Zeiss optics while the XOLO Q700 packs a 5 megapixel shooter with BSI sensor and LED Flash. Time for the shootout! First up is the closeup or macro shot from both the devices. 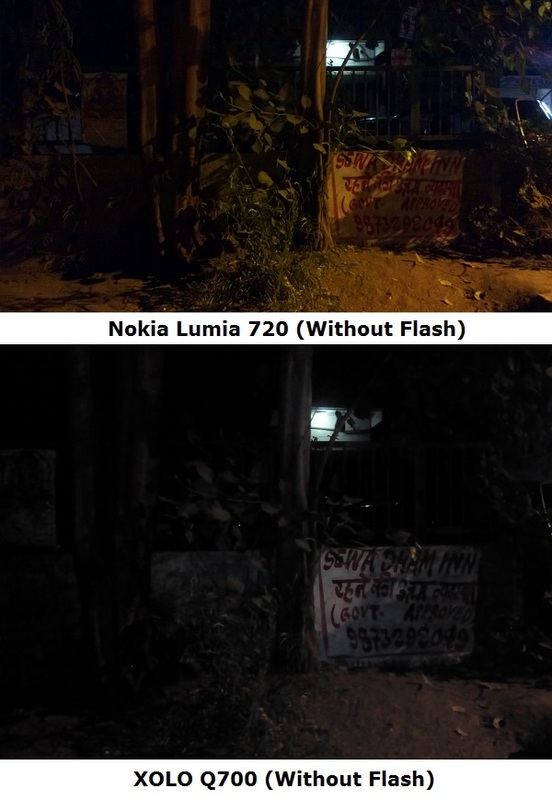 The one which you see below is a low light shot (with Flash) and we can clearly see that the Nokia Lumia 720 beats the QOLO Q700 as the image is crisp and clear. 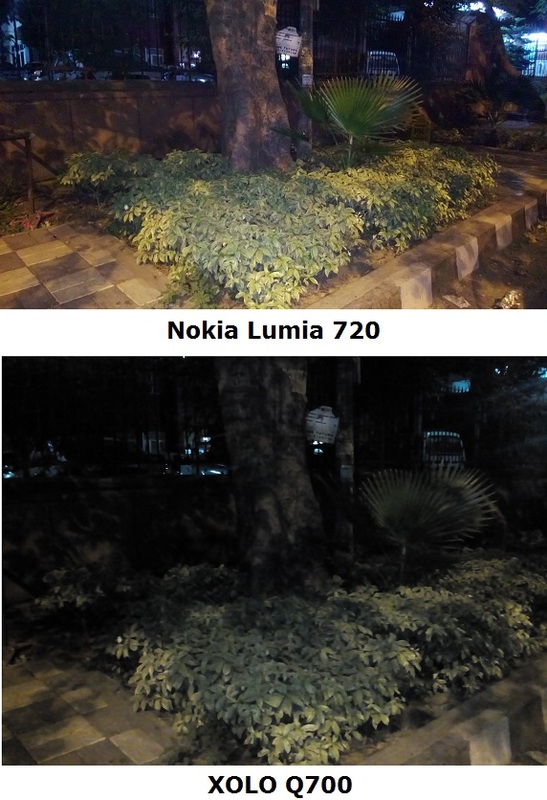 In the next shot, the image from the Nokia Lumia 720 looks natural while the one taken from the XOLO Q700 is bright. 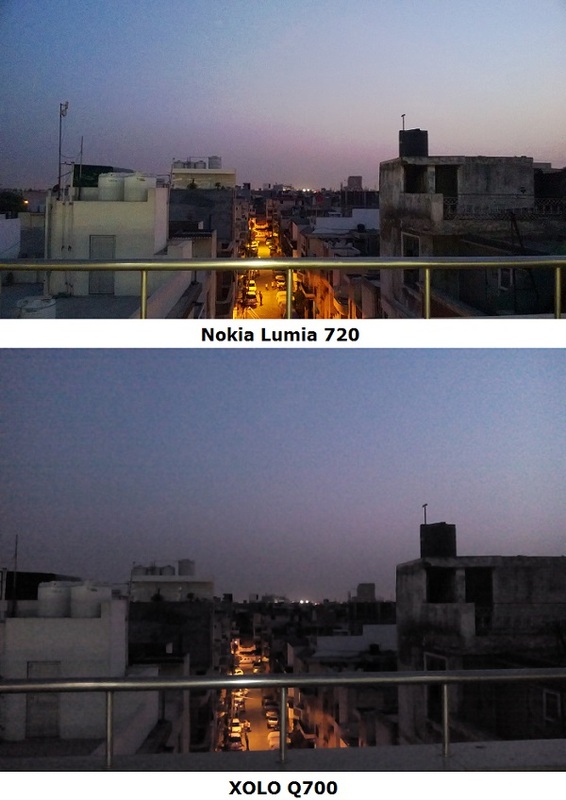 The Low light shot taken from the Nokia Lumia 720 (without Flash) is just impressive as you can see below while the one from the XOLO Q700 is not that bad too. 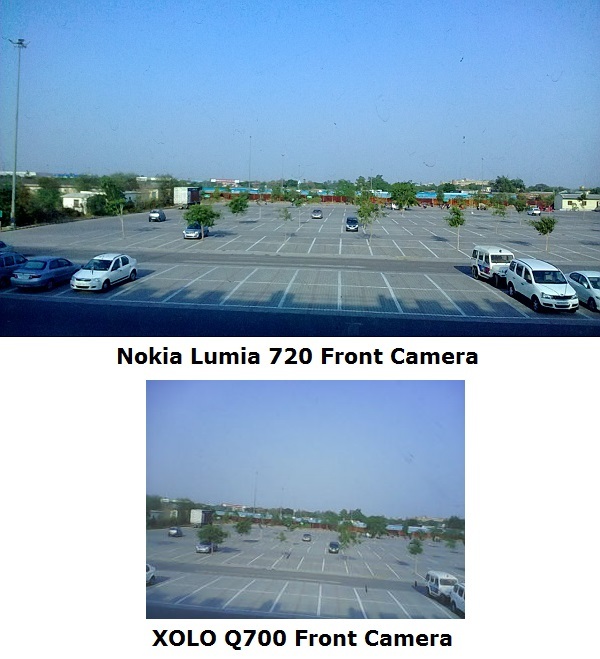 We also compared the front camera of both the smartphones and the result is as follows. Another low light shot where Nokia Lumia 720 produced a stunning result (One of my favourite). 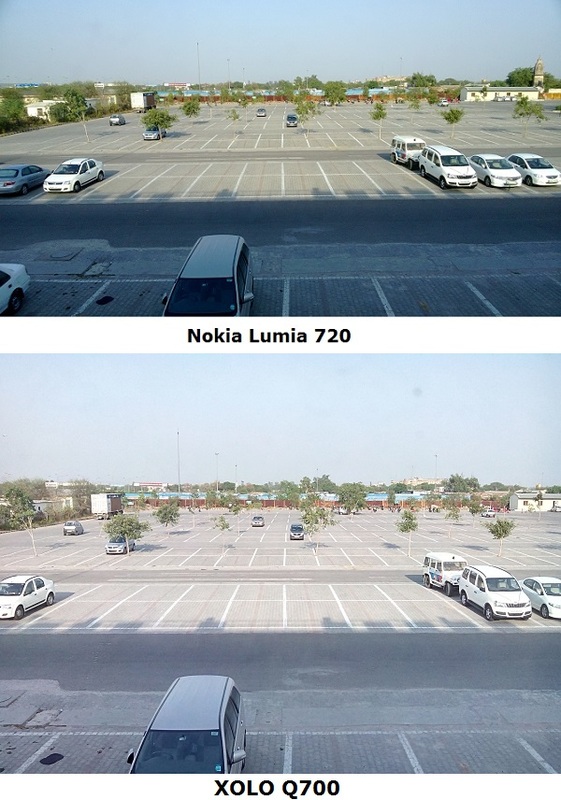 Last but not the least, we tried as to how the images would turn out if we zoom in to the maximum and both the Lumia 720 and the Q700 didn’t disappoint us. 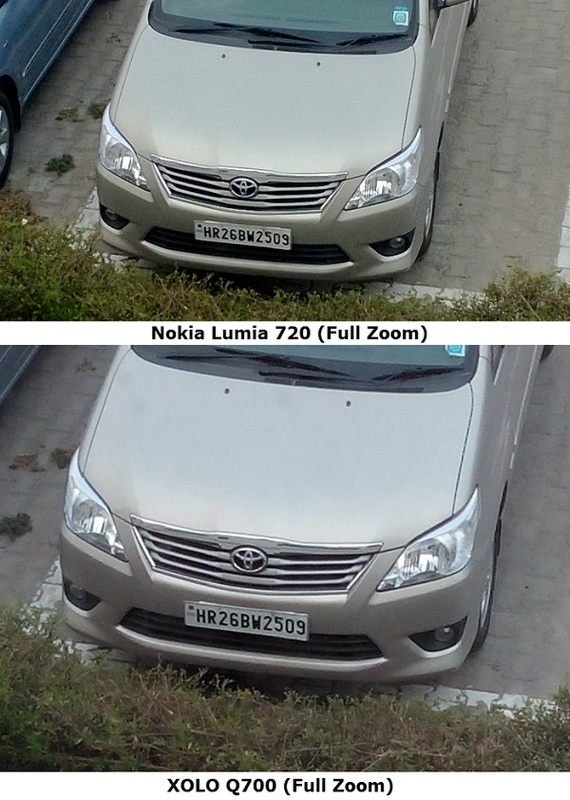 So if you ask us for a verdict, the Nokia Lumia 720 does win hands down in comparison to the XOLO Q700 but if the latter had about 2 megapixels extra as on the 720, it would have won too.